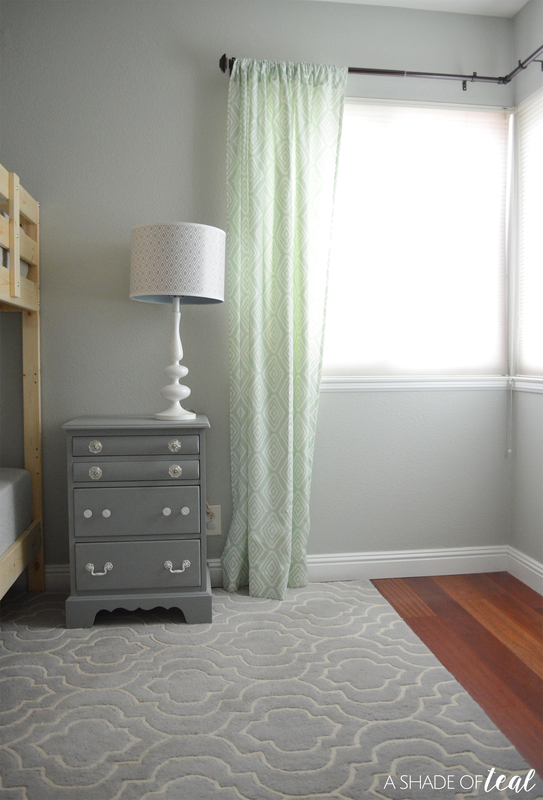 It’s week 5 of the One Room Challenge and this week I definitely spent more time on my Nursery, but I was able to accomplish a couple of things! First of all, I finally narrowed down and ordered my bedding. 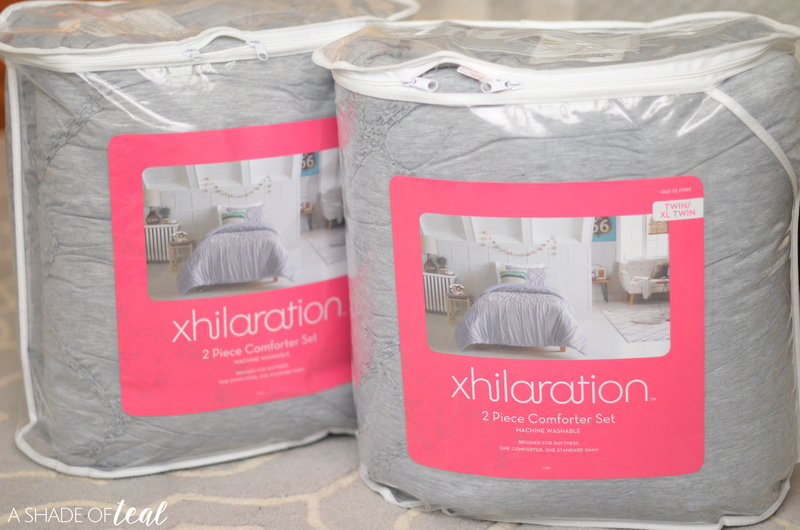 It’s all from Target and I received the comforter but I’m waiting on the rest. I had the hardest time figuring out what I loved best, plus I wanted to stay budget conscious since I would have to buy 2 sets of everything. Next, I put up my curtains which are from my old Nursery & from Minted. I have another matching panel on order for the middle part of the window. 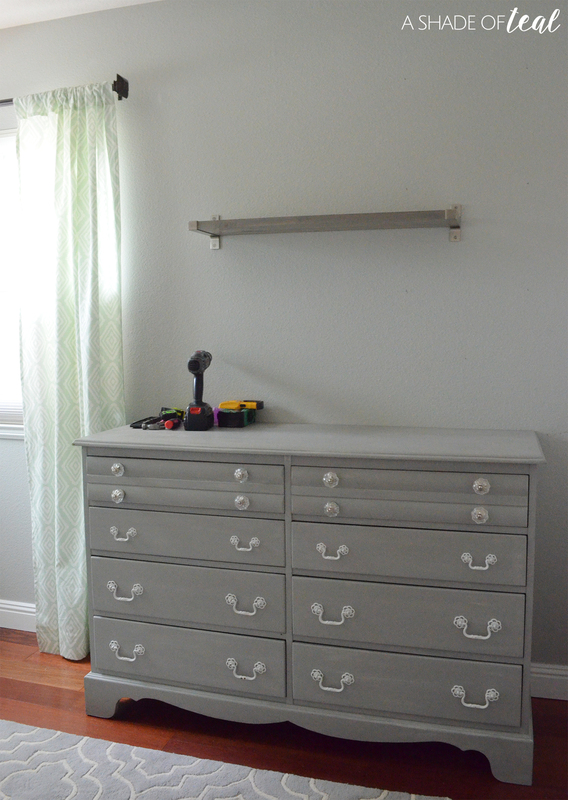 I also started placing key pieces, like my nightstand and lighting. I also laid out my rug, which again was from my previous Nursery. 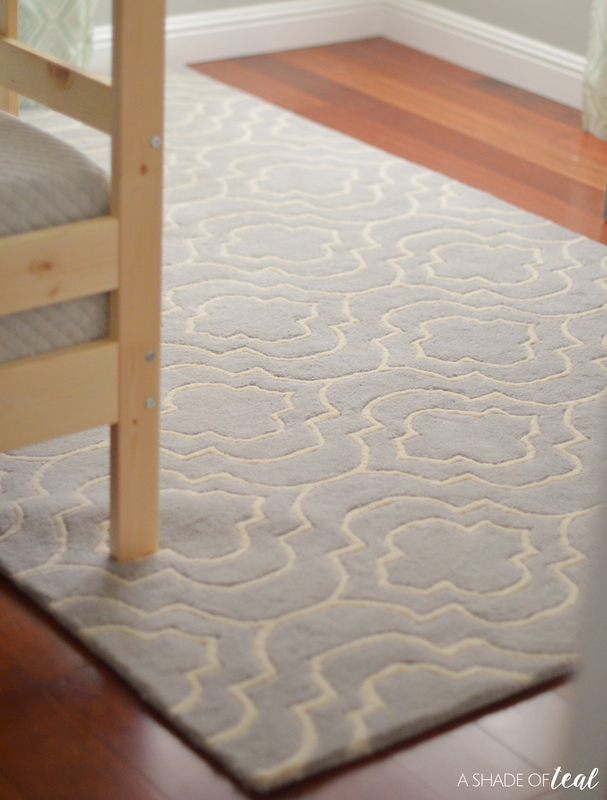 It’s amazing how a rug can make a space feel so much more comfy and pulled together. Finally, I started installing my existing shelves from my Nursery. I still have 2 more to go, but then I can finally start adding my wall art and decor to the space. « Holiday Llama-Rama, a Holiday Gift Guide! Can you please share curtain rods from girls room make over?